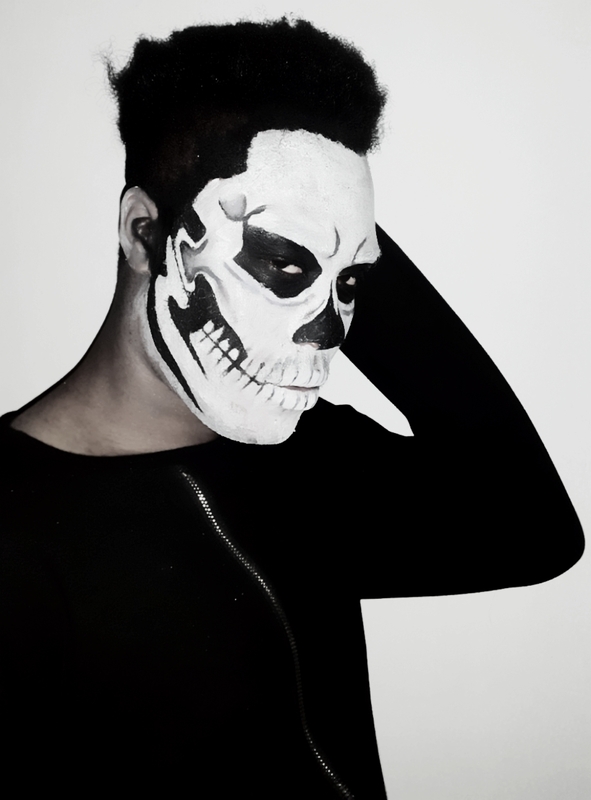 "Straddling the line between fall and winter, plenty and paucity, life and death, Halloween is a time of celebration and superstition. 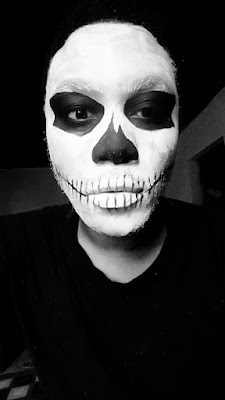 It is thought to have originated with the ancient Celtic festival of Samhain, when people would light bonfires and wear costumes to ward off roaming ghosts. In the eighth century, Pope Gregory III designated November 1 as a time to honor all saints and martyrs; the holiday, All Saints’ Day, incorporated some of the traditions of Samhain. The evening before was known as All Hallows’ Eve and later Halloween. Over time, Halloween evolved into a secular, community-based event characterized by child-friendly activities such as trick-or-treating. 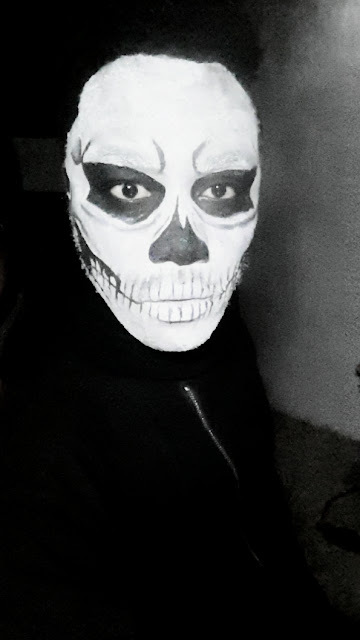 In a number of countries around the world, as the days grow shorter and the nights get colder, people continue to usher in the winter season with gatherings, costumes and sweet treats"
I bet you didn't know that about halloween lol, hey guys Happy Halloween. 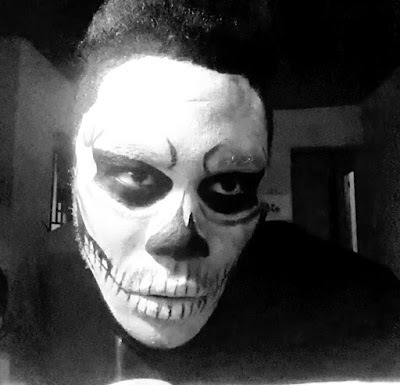 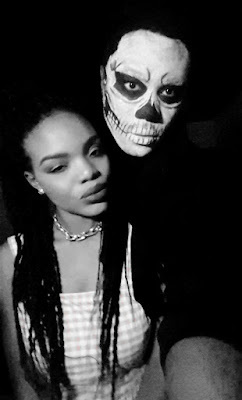 We down here in Nigeria really do not celebrate Halloween the closest we get to doing that are costume / mask parties but some of us do love the idea of it and appreciate the festive spirit of Halloween and try as much as we can to indulge. 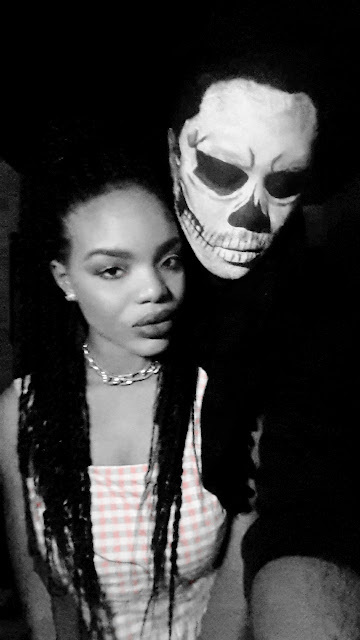 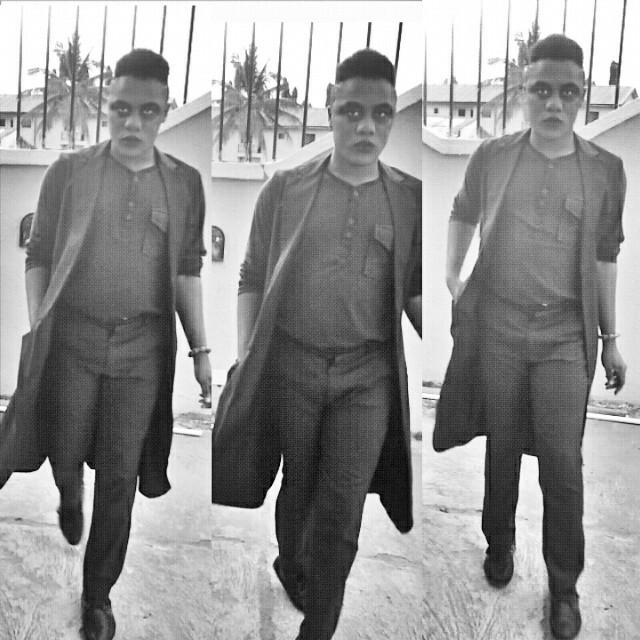 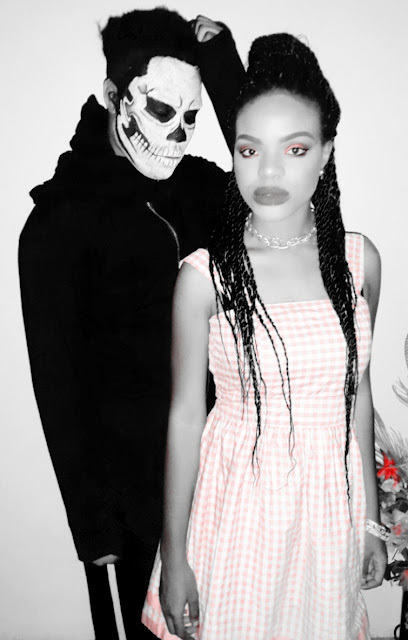 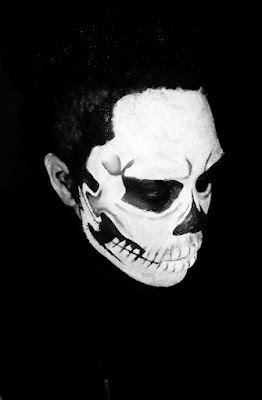 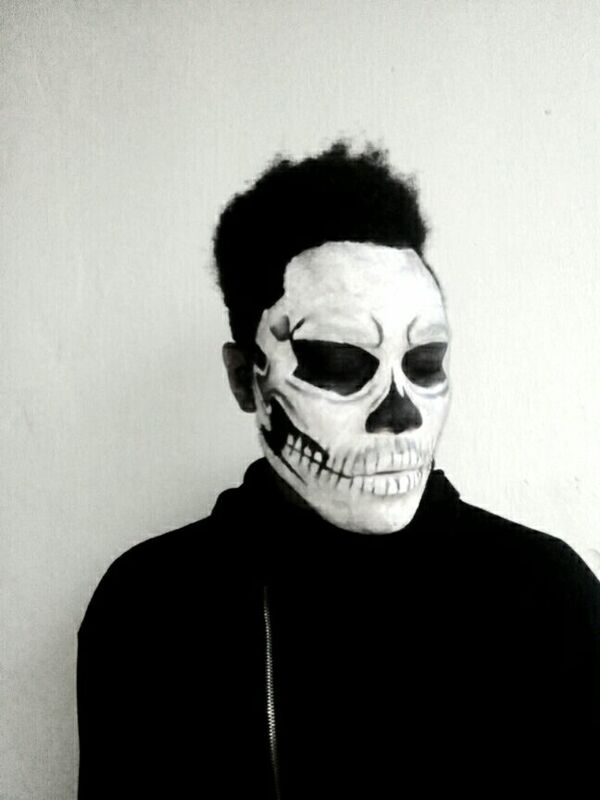 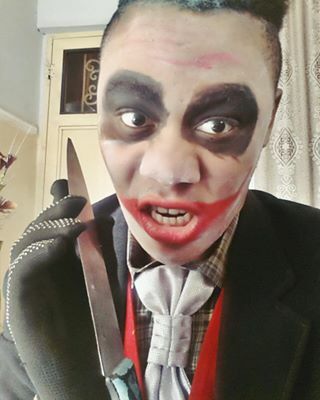 For a few years now Nigerians have really indulged in celebrating halloween the best we can which is mainly through make up, because surely we can't wear full on halloween custumes and go out lol but still people have done some pretty impressive stuff I know because I see them on my instagram feed and instagram explore, since the day I found out about Halloween I have loved it so you can be sure that I have also partaked in the celebration . 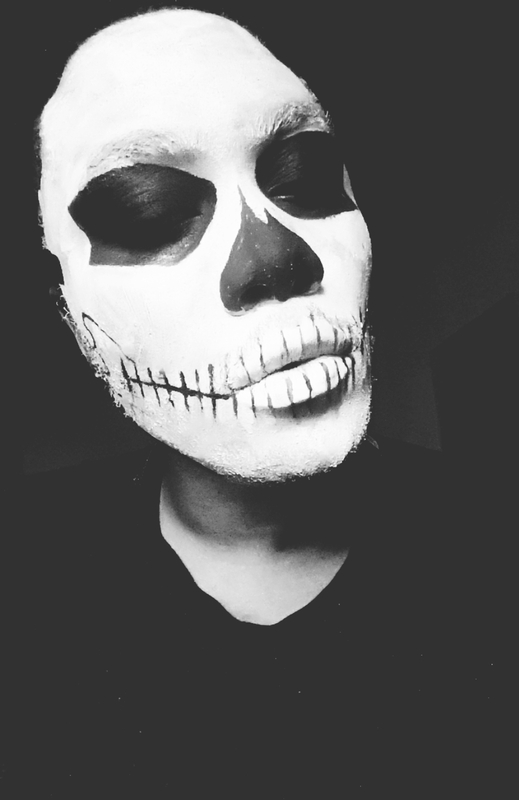 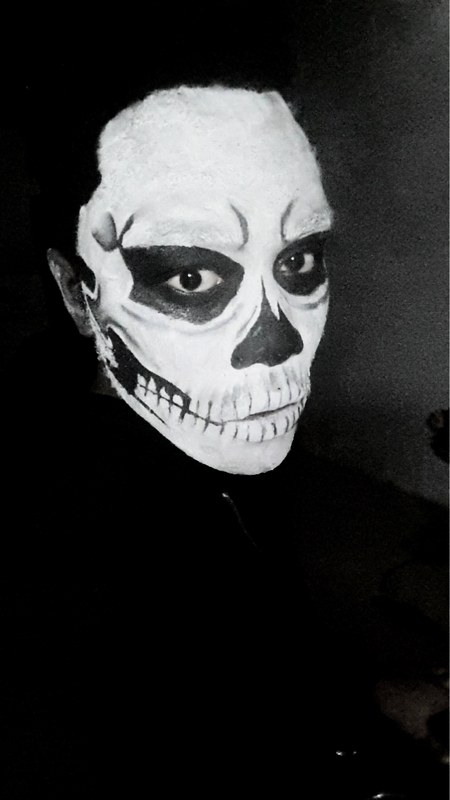 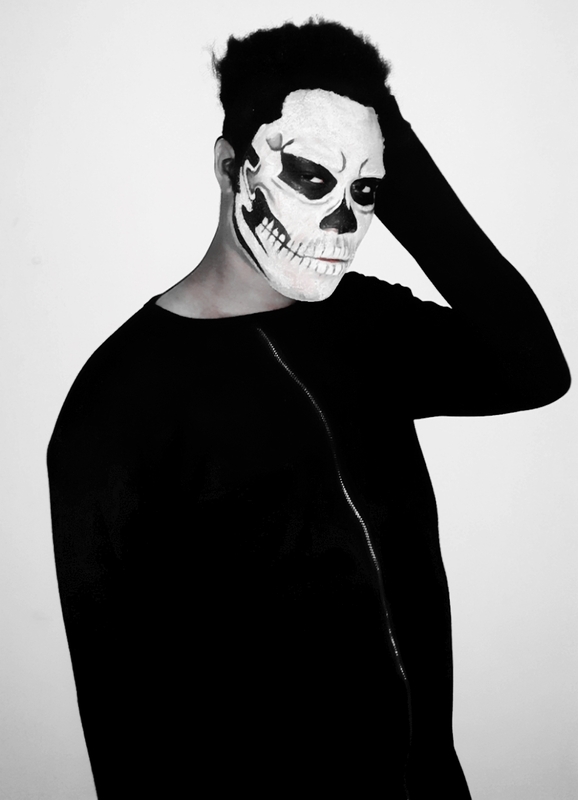 lol I thought hard but nothing came to me, obviously the make up part is where I really focus on and so I couldn't figure out what kind of halloween make up I wanted for this year until Ruth came across a youtube skull make up tutorial and I was like YASS and that was it, I basically challenged her to do it for me and boy did she come through! 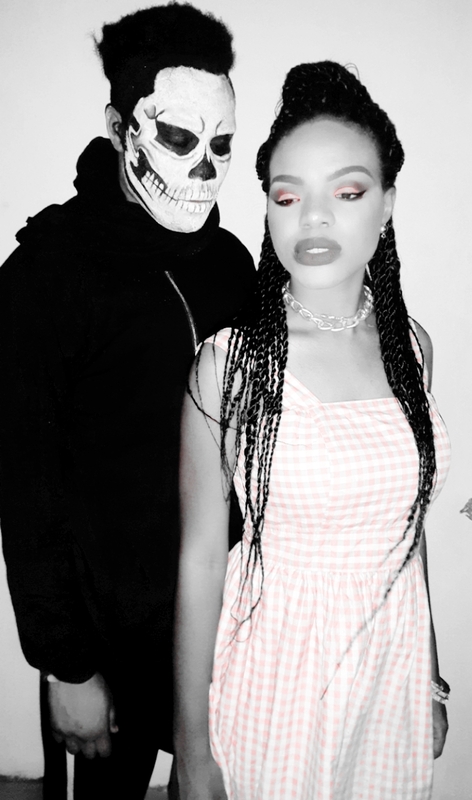 Ruth is a makeup artiste and her amazing make up skills grow with every passing year so I actually wanted to test to see how evolved her make up skills had gotten. Yes guys, we were at this for five hours, I even fell asleep at one point and could feel Ruth moving my head from side to side in my sleep lol we started during the day and finished up at night, this you would see in the YouTube video when you watch it, I was so un prepared for this that I didn't shave and you can literally see my facial hair sticking out through the make up and the this make up would have looked alot better on a clean shaved face but that's to tell you how spontaenous this was. 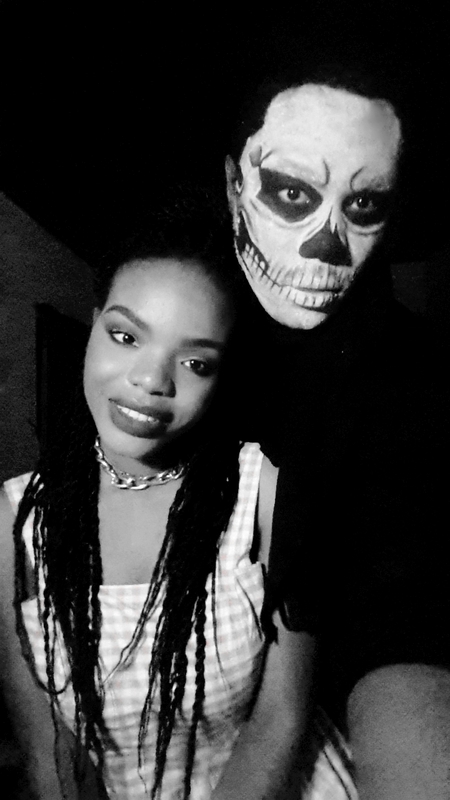 It was really stressful but thankfully worth it, honestly I don't know how Ruth did it, she stood all through and she was using her hands and kept going from one side of my face to another, all I did was sit and I got exhausted. Anywho.. it turned out really nice and I loved it,we both loved it, everyone that saw it that day complimented it and confirmed it's genius especially two kids who cried when they saw me lol by the way that wasn't intentional I only went to get something around the estate when they saw me, it was not even up to an hour after we were done with the make up, I just couldn't wash it off and what I went to get was needed by Ruth's mum urgently so do pardon me lol.